Rock bottom of the table having failed to win any of its ICC Women’s World Cup 2017 fixtures, Pakistan never threatened semi-final qualification but did break a team record. Here we take a look at the team’s overall performance. Pakistan posted its highest-ever World Cup score, with 206 against both Sri Lanka and West Indies, but neither of those totals were enough to claim a victory. The team consistently failed to post competitive totals, with the 74 all out versus rivals India the low point. While the Pakistanis applied pressure against South Africa, Sri Lanka and West Indies, they simply didn’t score enough runs to give their bowlers a fighting chance. Despite Pakistan’s best efforts, it came up against seven better sides and was outplayed in all departments. Pakistan consistently failed to post competitive totals, with the 74 all out versus rivals India the low point. It’s difficult to find significant positives after seven defeats on the bounce but you need to assess the team’s performance alongside expectation. Pakistan put in a solid performance against a talented South Africa outfit which included tricky leg-spinner Dane van Niekerk – the tournament’s highest wicket-taker at the time of writing – and also posted the country’s record World Cup score – and then matched it. So while Pakistan failed to register a victory, there were still signs of improvement. Opener Nahida Khan was Pakistan’s leading batter, with 173 runs at 24.71, including 79 against South Africa, while Sana Mir scored 153 runs at 30.60. 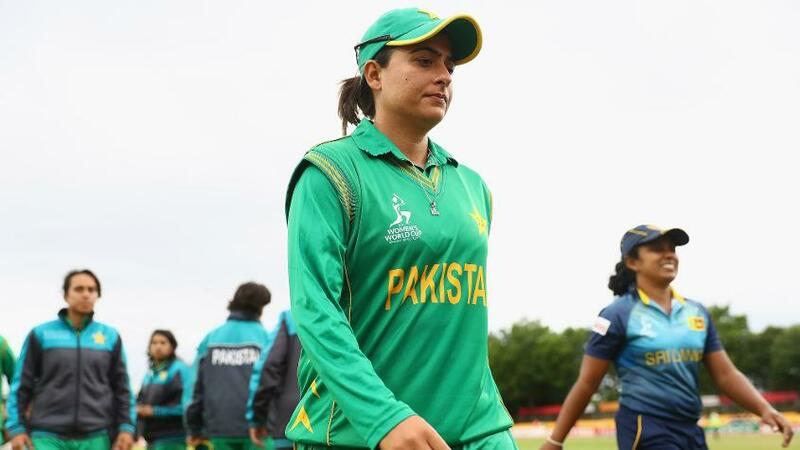 Pakistan’s bowling was a competitive and collective effort, with Asmavia Iqbal (eight wickets), Sadia Yousuf (seven) and Diana Baig (seven) all making useful contributions. Pakistan will need to develop its all-round game to be a competitive force going forward. There were only four fifties scored by Pakistan batters in seven innings, which indicates a weakness in both technique and temperament, The bowlers failed to take 10 wickets in any match while poor ground fielding and spilled catches let down the bowlers at times. Pakistan need to become more dogged and resilient, fighting to save every run in the field, developing greater variations with the ball and offering more staying power with bat-in-hand.